When the highway bypass around Green opens with much fanfare, downtown dries up faster than cement on the roadway. Businesses close and the hospital becomes a clinic. While the road is progress to some, it seems to be leading Green toward a national trend–a town that is merely a shadow of itself. With the town going backwards, Lois Barker Craig is determined to save Green while juggling life as a new mom and owner of The Green News-Item. But can her plan rescue the town from the path it’s on? And what about Dr. Kevin and her son, Mayor Eva, Coach Chris and other familiar Green faces? How does this affect them? Downtown Green is the first book I've read by Judy Christie and the fifth book in her "Green" series. While some things were slightly confusing at first (like the characters), I did end up enjoying the novel and didn't feel too lost. There were two things I personally didn't like in Downtown Green. The first thing was how the preacher was a woman - I believe a woman shouldn't be the pastor of a church (i.e. 1 Timothy 2:12). The other thing was how some scenes seemed to abruptly end - that happened a lot and was slightly annoying. That said, there was a lot I did enjoy. I grew to really like the unique people from Green, Louisiana. Lois, Chris, Katy, and Tammy were some of my favorites! I liked the little articles from the Green News-Item that were at the beginning of each chapter - some of them were really funny! I don't know if there is going to be another "Green" novel, but if there is, I would probably want to read it. I'm curious if I'm right about something (not going to say what, but read the last page and you'll probably guess what I'm talking about). Downtown Green was a good read that I enjoyed. If you've read the first four "Green" novels, then you will probably want to read this continuation. If you haven't read those, then I'd probably suggest you do first because that might lessen the confusion I had when reading Downtown Green. 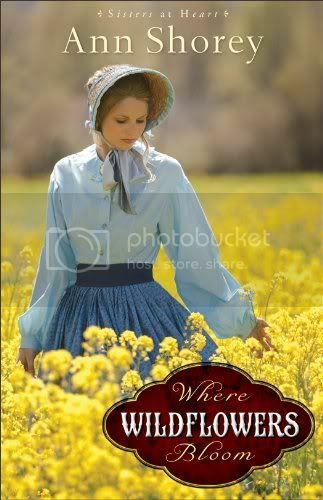 Enter to win Where Wildflowers Bloom by Ann Shorey ~ US and Canada! Enter here. 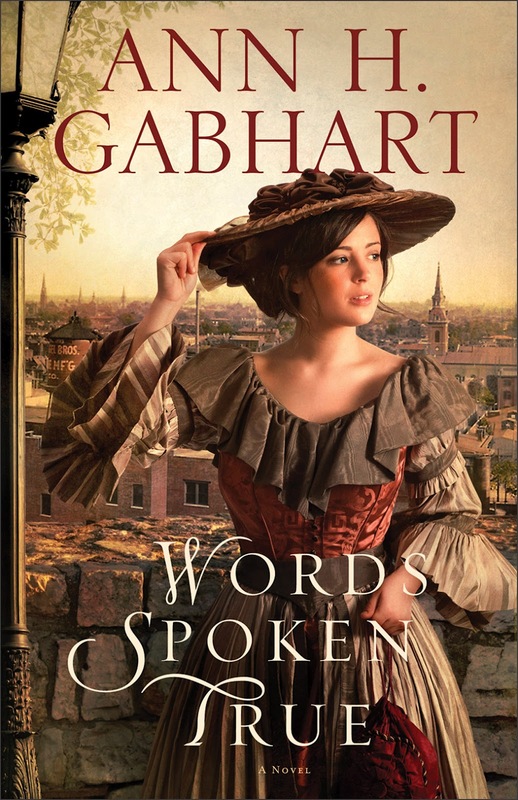 Enter to win Words Spoken True by Ann H. Gabhart ~ Open Internationally! Enter here. Congratulations! I hope you enjoy your book! So that's what I accomplished (book-wise) this week, what about you? 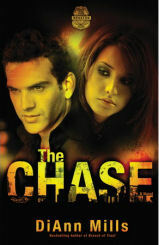 If you would like to read the first chapter of The Chase, go HERE. Wow! I LOVED this book! From the beginning it was interesting, entertaining, and suspenseful! Since The Chase contained some truths to an actual FBI-solved cold case, the entire story was so believable! Kariss Walker is a New York Times bestselling author, but instead of writing another women's fiction novel, she wants to write a suspense about the cold case of "Cherished Doe." While researching for the novel, she gets in a lot of danger and might not be able to escape with her life... fiction meets real life. I don't think I was ever bored when reading The Chase. Even when a scene didn't have a lot of suspense (which wasn't often), just the dialogue between characters or whatever else was happening was interesting. I am really looking forward to DiAnn Mills next Crime Scene Houston novel because I want to find out what happens in these characters' lives! 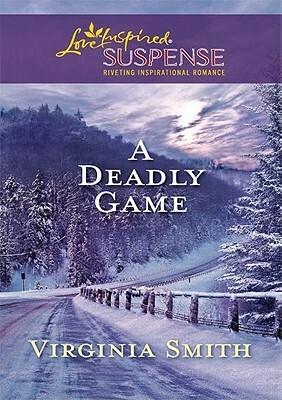 This is a great story that I recommend if you enjoy a great suspenseful ride with a little romance. 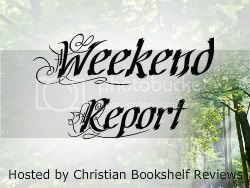 Welcome to Christian Bookshelf Reviews, Ann! Will you tell us a little about yourself? I’m a country girl, born and raised in Kentucky. Growing up, I helped my dad on the farm and then I married a farm boy. So, of course, the first thing we did when we could afford it was buy a farm. We still live on that farm but our farming these days is limited to a few beef cows. I’ve known I wanted to write since I first discovered storybooks, so that’s always been my focus along with taking care of my family. Always, always I was writing that next story. I have worked some temporary secretarial jobs along the way, but only until the need to write overpowered the need for the extra income. Our three children are all grown and married now. They’ve blessed us with nine beautiful grandchildren. I’ve published twenty-three books with three more contracted to come out in the next few years. 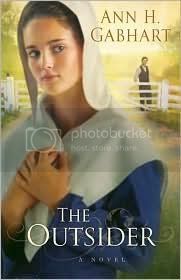 My first Shaker book, The Outsider, was a finalist in the fiction category for ECPA Book of the Year. The Scent of Lilacs was selected as one of Booklists’ Top Ten Inspirational novels for 2006. 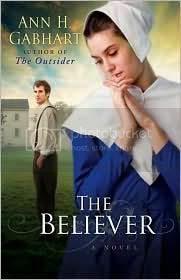 The Believer and Summer of Joy were ACFW Carol Book Award finalists. 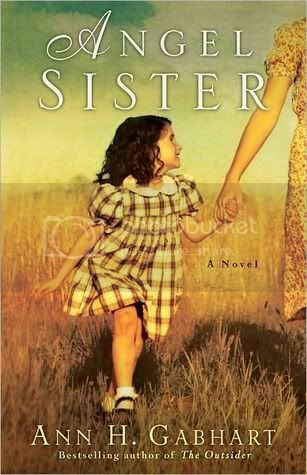 Angel Sister is a RT Book Reviews Magazine nominee for best inspirational novel of 2011. What is Words Spoken True about? Words Spoken True is the most romantic book I’ve written for Revell Books. My other books have romance in them. 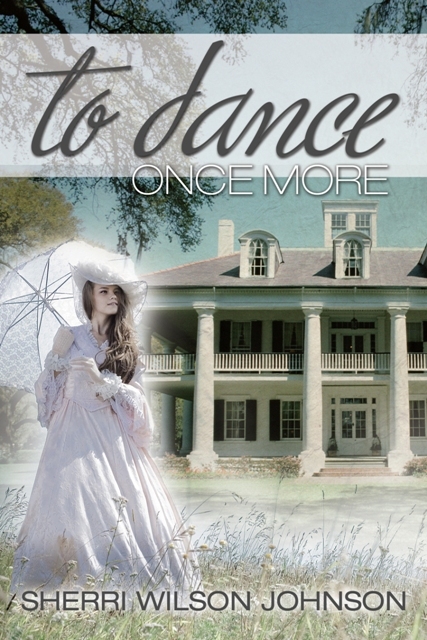 The Shaker books are definitely historical romances, but because of the beliefs of the Shakers – they didn’t believe in love between a man and a woman – I had to sneak romance into those stories without much opportunity for romantic scenes. Angel Sister is a family story with a romantic thread but it’s only one of the ingredients in the whole. The Hollyhill books are about a family in a small town with a romance thread throughout too, but the romance is not the most important element of the story. Oh, but in Words Spoken True, romance jumps up on the center stage and demands the spotlight. The background history is eventful and has some timely themes that relate to some of our issues in America today, but it’s the romance that lights up every scene. 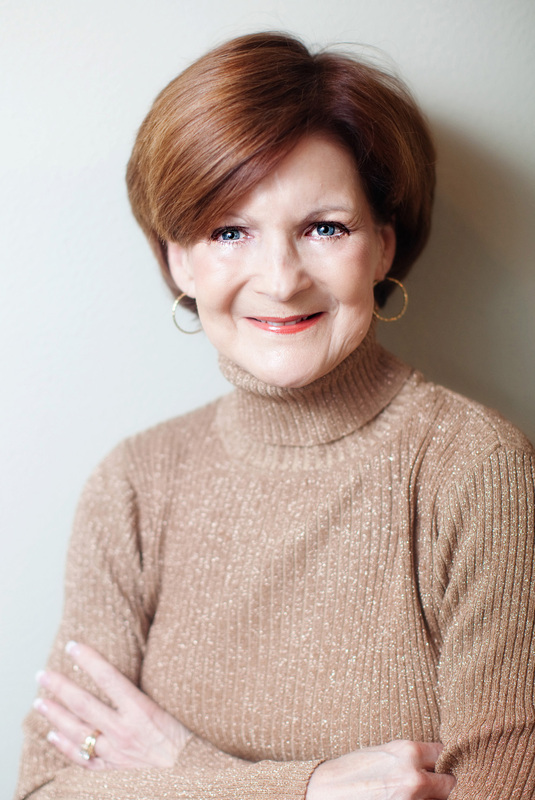 Adriane Darcy was practically raised in her father’s newspaper offices. 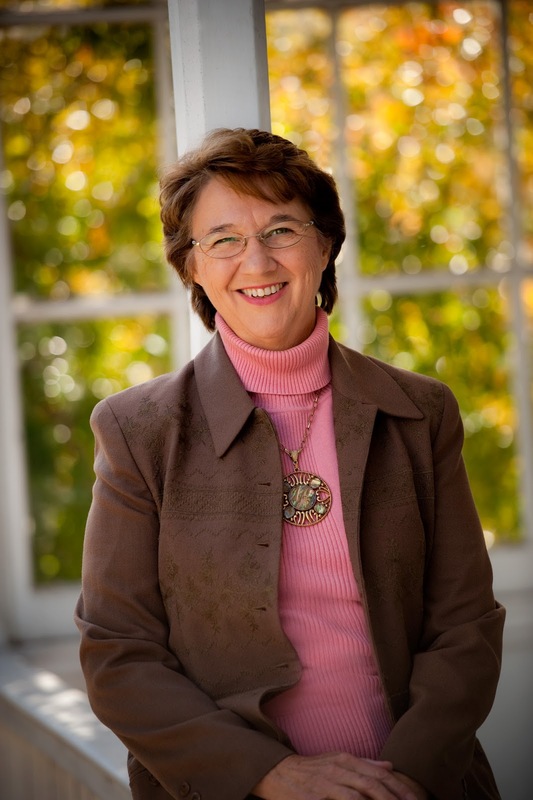 She can’t imagine life without the clatter of the press and the push to be first to write the news that matters. Their Tribune is the leading paper in Louisville in 1855. Then Blake Garrett, a brash young editor from the North with a controversial new style of reporting, takes over a competing paper and the battle for readers gets fierce. When Adriane and Blake meet at a benefit tea, their surprising mutual attraction is hard to ignore. Still, Blake is the enemy, and Adriane is engaged to the son of a powerful businessman who holds the keys to the Tribune’s future. I hope readers will like Adriane and Blake and be cheering for them to figure out a way to overcome all the obstacles in the way of them having a happily ever after ending. You’ll have to read it to see if they succeed. I picked up pen and notebook when I was ten years old and began writing a mystery something like the Hardy Boy mysteries that I loved to read, but this one starred me and my sister and cousin. I’ve been writing ever since. I think I must have been born already infected with the writing bug. These are two questions I get a lot. I always say that a better question than the first one is how many books have I published. I really don’t know how many I’ve written. I counted up once, but it’s not much fun remembering those books that haven’t found a loving editor as yet, so I concentrate on remembering how many books I’ve published. That’s twenty-three – ten in the inspirational market. I have another Shaker book, The Gifted, coming out this summer, with three additional books contracted to come out in the next couple of years. It’s even harder to answer which is my favorite book. That’s sort of like picking a favorite child. All my books are special to me in some way and a story I enjoyed telling. I did really like Angel Sister, because of how I based the background on my mother’s memories of growing up during the Great Depression. The story is completely fiction, but it has echoes of my mom’s childhood years throughout the story. So I felt very close to her while I was writing it. 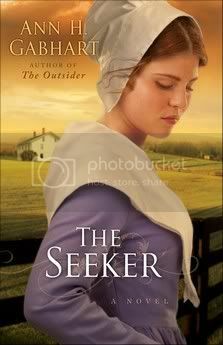 I do most of my research in history books although I have visited the nearby Shaker village of Pleasant Hill in Mercer County, Kentucky. The physical setting and much of the Kentucky history in my Shaker books are based on that village. I also feel as if I’ve received a special bonus in my research when I come across a journal or personal account of the time period I’m researching. Such a book of letters written home by a soldier in WW I was very helpful in my research of that war for my book, Angel Sister. Ideas come from everywhere – from bits of information or history I might stumble across in the newspaper or on a TV program. With my Hollyhill books, I used a lot of what I remembered growing up in the 1960s to get those stories going. 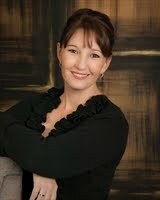 With Angel Sister, I mined the information in my mother’s stories of growing up during the Great Depression. Ideas pop up everywhere. Some lay dormant forever and never become a story. Others tickle at my imagination and make me start asking “what if?” That’s how the idea for Words Spoken True came about. I stumbled over an account of “Bloody Monday,” a day of election riots in Louisville. When I began to dig a little deeper into that history, I could see how important newspapers were at that time. So one thing led to another until I dropped my characters down in the newspaper business where they not only had a finger on the pulse of the happenings in the city, but were perhaps making that pulse race faster with their fiery editorials. There are good and bad parts to everything in life. Writing is no different. Maybe the best part of being a writer is inventing characters and getting to weave the magic that lets me tell their stories. I love being a storyteller. The worst part is worrying that the stories you write might never find readers. I have to write, but that doesn’t mean anybody has to read what I write. But stories need readers to make them complete – my imagination to spill out the words of the story and the reader’s imagination to take in those words and let the story play out in his or her mind. I’ve had years when my stories didn’t find readers, when I thought perhaps I should give up on writing, but I never did. I kept writing a new story with new hope. One of the hardest parts of the actual writing is getting the story out of my head down on paper or computer screen. I nearly always hit a spot in the story where I’m in the doldrums, when the winds of storytelling die down and nothing seems to be happening. But I push through, pray for a wind, and keep writing. Eventually the sails of storytelling fill again and the story gets written. So then the hardest part also becomes the best part – spilling out the story and having my characters leap to life in my mind. I love to read. Books are a treasure of information and entertainment to me. I love visiting with family and playing with my grandchildren. My husband sings in a Southern Gospel quartet, and I like going to the concerts to hear his group sing. I enjoy walking with my dogs on our farm. I’m a big basketball fan, so I like watching the games. Dogs – I decided when I first got the dog hunger when I was about eight that I never wanted to be without a dog of my own and I haven’t been. UK Basketball – I’m a diehard fan. Our farm – I love walking in the woods and seeing wildflowers in the spring. I’m assuming grandchildren would be included in family because for sure, I wouldn’t want to do without them. I’d like to go to the Canadian Rockies. I love mountain vistas. I don’t know about a movie. I like pure entertainment at the movies – stories that make me laugh or maybe hold my breath in excitement. Movies like Star Wars or Raiders of the Lost Ark or Ghostbusters. You can tell by the way I pulled out those old titles that I haven’t had much time for movie watching lately. It’s hard for me to pick favorite authors, but Chaim Potok opened my eyes to how a writer could make characters come vividly to life. Barbara Kingsolver is another writer I enjoy. So many great authors and great books. I put a different Scripture reference in all my books when I autograph them. I try to find something that fits in with the title or the story. Sometimes that’s been easy. For example, I put Mark 9:23 “All things are possible to those who believe.” in my book The Believer. I used Romans 15:13 in Orchard of Hope. “Now may the God of hope fill you with all joy and peace in believing that you may abound in hope by the power of the Holy Spirit.” The Bible is chock full of favorite verses. The last verse in John (21:25) is one that boggles my imagination and so I love it too. “Jesus did many other things as well. If every one of them were written down, I suppose that even the whole world would not have room for the books that would be written.” (NIV) Wow! I’m putting 3 John 2 in Words Spoken True because it is a blessing wished for a friend. I’m currently working on a sequel to my novel, Angel Sister. At this time it has a working title of Far from Rosey Corner, but I expect that to change. 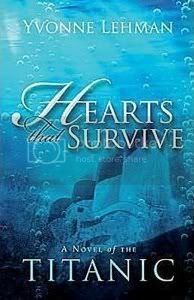 I’m following up the characters as WW II looms on the horizon and love begins to find the Merritt sisters. 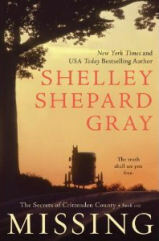 But before that makes it out to bookstores, I have another Shaker book, The Gifted, scheduled to be released in July 2012. I think readers will enjoy my heroine, Jessamine, who has an endearing innocence since she came to live among the Shakers as a young girl. Part of the story is set at White Oak Springs, based on an actual popular “watering spot” in the 1800s where the wealthier people came for their health and for the social events. The springs were considered healing for all sorts of maladies, and the evening entertainments and dances helped cure spinsterhood! I hope the contrast between that place of lavish opulence with the work centered, simple life of the nearby Shaker village will make for interesting reading. My website is www.annhgabhart.com. I enjoy meeting reading friends there and you can check out more about Words Spoken True and my other books as well as personal appearances, web guest posts like this, and book giveaway chances. 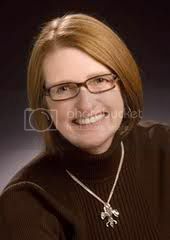 I have a Facebook author’s page, https://www.facebook.com/pages/Ann-H-Gabhart/132862247566 and my user name on Twitter is annhgabhart. 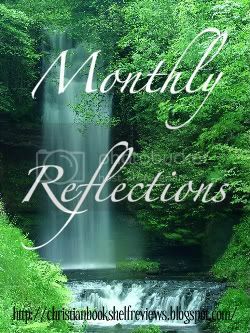 I also post a couple of times a week on my blog, One Writer’s Journal, www.annhgabhart.blogspot.com about what’s going on in my writing or down here on the farm. Thanks for having me over. I’ll look forward to your comments. When you read an author’s interview, what is the question you like most to see or the one you never see but would like to ask? Enter to win a copy of Words Spoken True by Ann H. Gabhart! I loved this book (you can read my review here). If the winner lives in the US or Canada they have a choice between an eBook or print copy of Words Spoke True, but if it's an International winner, they will receive an eBook copy! Open Internationally! Enter by filling out the Rafflecopter below (here is a tutorial, if you aren't familiar with Rafflecopter). The mandatory entry is to leave a blog post comment on this blog post answering Ann's question - after you do that, the other entries will become available. I did not expect to enjoy Missing as much as I did! I found the story interesting, the characters great, and the mystery… is STILL a mystery (I can hardly wait to read book two!)! 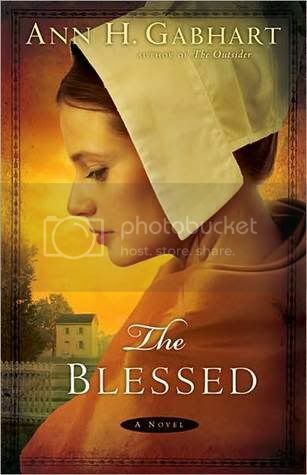 I don't know if this would be considered Amish fiction (although I think so because there are Amish characters), but if it is, Missing is one of the better books I've read in the genre. I loved how all of the characters weren't Amish, and how there was a detective from Cincinnati that comes to help on the murder case - that made the story so much more entertaining! The romance that started to bloom between Lydia and Walker was sweet and that definitely added to the story. There was one surprise regarding Lydia that I did NOT see coming... if you read the book, I'm pretty sure you'll know what I'm talking about. The ending leaves much to be anticipated in The Search, book two of The Secrets of Crittenden County, which I am really looking forward to reading! Guess What... One of My Favorite Books is FREE! Weekend Report (20) and Giveaway Winner! I've Been Tagged! Who Will Be Tagged Next? Weekend Report (19) and Giveaway Winner!